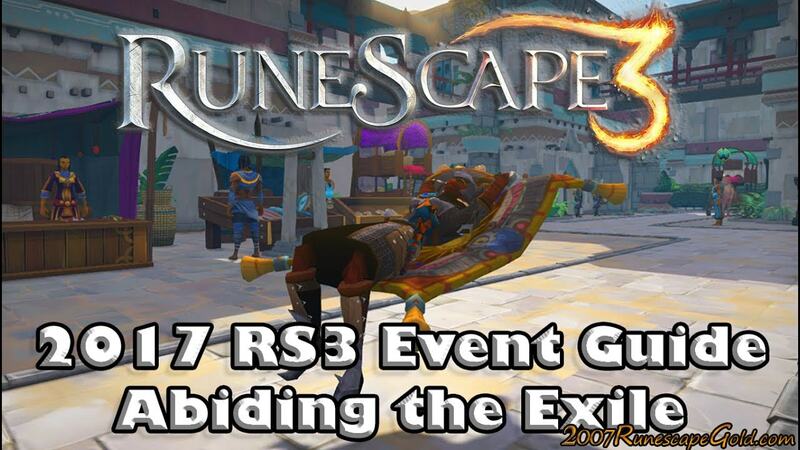 ﻿ Runescape3 Event Guide - A Quick event Overview! Runescape3 Event Guide - A Quick event Overview! The Beach event is back this year, for the third year in a row. It's a pretty popular event and, if you do want to be a part of it, there are some cool activities and rewards to be had. Here's a quick rundown of what you can get! The primary focus of this Beach event is that you get to be a part of the treasure hunt. The idea is that you have to go to Reyna at the middle of the event, and you will receive a treasure map each day. Go to where the X is, and you will be able to get the treasure. In case you redeem 1 bond, you will claim all prizes. Then you have activities that give you XP. You have the Sand Pyramids where you can create stuff and get construction XP, you have a Fishing locale where you can get fishing XP from chopping fish. There's also a costume location, where you can just get a cool new costume each day for the duration of the event. On top of that, there's also beach ball rolling, which is a rather nifty and fun experience. You can get agility XP from it. You even have hook a duck event. As for rewards, you get a wide range of XP boosts, tokens as well as cosmetics. You can easily sell tokens and cosmetics. You will also have some fun bubble blower tokens, Palm tree rest emote tokens. They can easily sell for a lot after the vent is over. So yes, the event is full of fun moments and it can indeed bring in some rather cool stuff. Hopefully the entire experience will be a really exciting and fun one to have, so you should totally check this out as there are plenty of activities and great rewards to enjoy!